During World War One, thousands of American soldiers lost their lives in battle and would never return home from overseas. Moina Belle Michael, a Georgia schoolteacher, was especially sad because many of her students were among those missing. Moina wanted a symbol to remind people of their sacrifice and courage. When American soldiers entered World War I, Moina Belle Michael, a schoolteacher from Georgia, knew she had to act. Some of the soldiers were her students and friends. 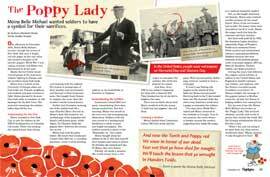 Almost single handedly, Moina worked to establish the red poppy as the symbol to honor and remember soldiers. And she devoted the rest of her life to making sure the symbol would last forever. Thanks to her hard work, that symbol remains strong today. To celebrate Women's History Month, I was invited to be a guest blogger for the ALSC and share Moina Belle Michael's story with their readers. Please click the link below to view the blog post. 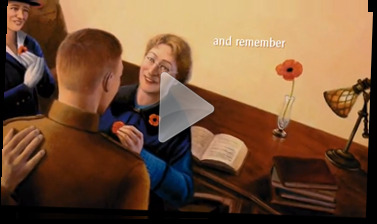 Special thanks to my amazing illustrator, Layne Johnson, for creating this beautiful trailer for our book, The Poppy Lady. I hope you enjoy watching it. As my three sons were growing up they loved watching National Geographic documentaries. 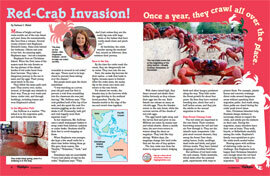 Their all time favorite was the annual migration of the red crabs of Christmas Island. Fascinated, the boys followed the dangerous journey of the crabs. Down mountains, across roads, into homes, even invading the school. The boys thought the crusty critters were “really cool” and wished we had them in New Jersey. 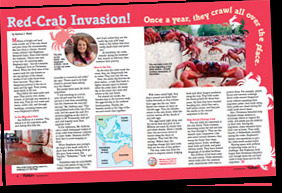 I wondered what it would be like to share space with millions of clattering crabs. My name is Barbara Elizabeth Walsh, and I write for children. I grew up in Pennsylvania, twenty miles outside of Philadelphia, and directly up the road from the Devon Horse Show. While living in Pennsylvania I taught in a Catholic private school. After I married and moved to New Jersey, I taught in a public school system. But once my three sons were born I stopped teaching and volunteered to write publicity for local organizations. I also wrote a feature column for a regional newspaper. 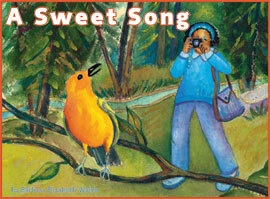 I was inspired to write for children after uncovering a box of stories and poems I’d made up long ago. 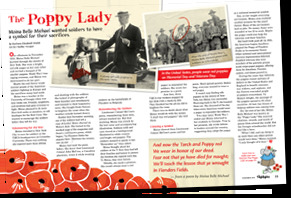 You may have read one of my stories in Highlights for Children or Cricket Magazine, and I thank you for that. 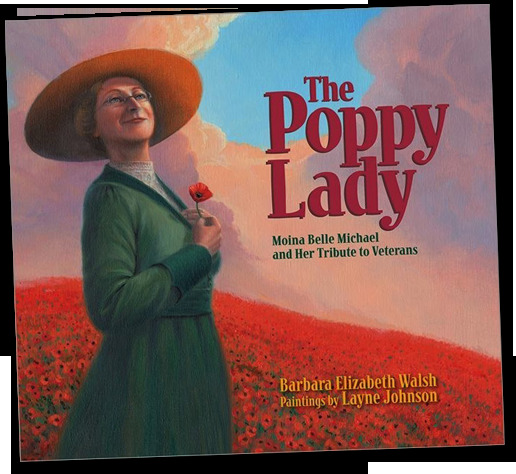 Now I invite you to read my very first picture book beautifully illustrated by award-winning artist Layne Johnson entitled “The Poppy Lady.” I loved Layne’s paintings so much that I asked to use a few of his landscapes as background images for my web site. It was my pleasure to write about someone so special. I hope you enjoy reading Moina's story. Copyright © Barbara Elizabeth Walsh. All Rights Reserved. Illustrations courtesy of Layne Johnson. You may also connect with me through Facebook. Thank you. Your comment or question has been submitted.